1. Faber Pastels or what you have. Donna will demonstrate a variety of techniques using pastels. She will show you how to set up your paper, and how to blend and mix pastels while doing a painting. There will be time to work on your painting during class while Donna shares her knowledge with students. 1. 8” x 10” Canvas board. 2. Acrylic brushes, #2, #4, #6, #8. 6. Palette (can use flat plastic or paper plate). 7. Fine mist sprayer for water. If you already have paints on hand, bring what you have. 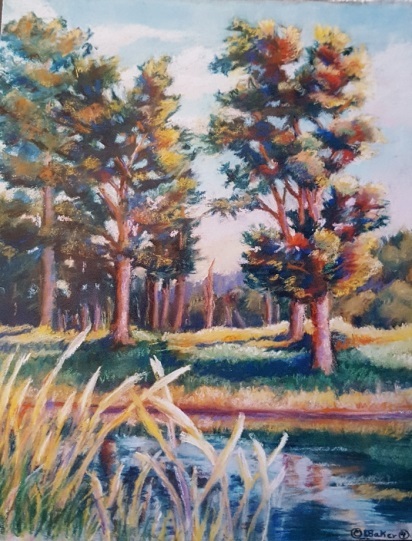 Donna will demonstrate a variety of techniques using acrylics. She will show you how to set up your palette and painting. You will have time to work on your painting in class while Donna shares her knowledge with students.